You have added Kelly Crochet Sheath Dress in Navy into shopping cart. We can't get enough of the crochet designs on this beautiful sheath dress! 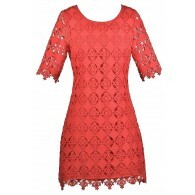 The Kelly Crochet Sheath Dress is fully lined, except for the sleeves which are semi-sheer. 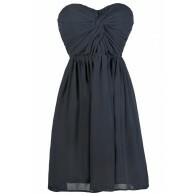 It has a rounded neckline, half sleeves, and a classic sheath cut. A hidden back zipper completes this dress. The Kelly Crochet Sheath Dress is a perfect flattering look for any event. It could even work as a unique bridesmaid dress. Pair it with beige pumps or wedges for a lovely look. Details: Lined except at sleeves. Hidden back zipper. 100% polyester. Best result, dry clean. Hand wash cold. Do not bleach. Hang or flat dry. Do not iron. Small measurements: Length from top of shoulder to hemline: 33". Bust: 33". 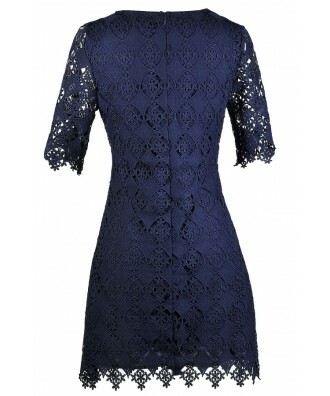 You have added Kelly Crochet Sheath Dress in Navy into Wishlist. 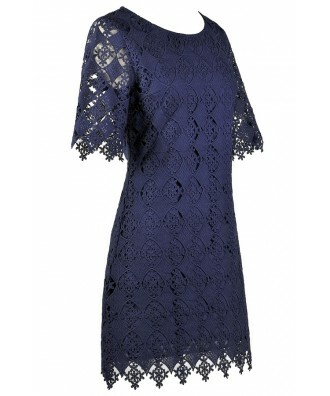 You have added Kelly Crochet Sheath Dress in Navy for Stock Notification. 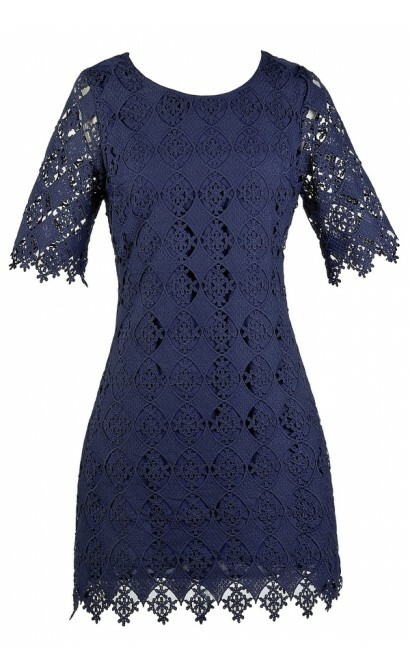 You have set Kelly Crochet Sheath Dress in Navy as a loved product. 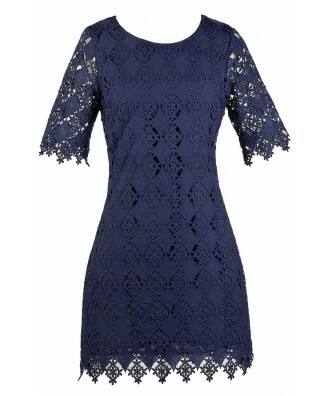 You have removed Kelly Crochet Sheath Dress in Navy as a loved product.